Have you been trying to give your business that unique identity that will create your brand in future? Waking up at odd hours and jotting down possible combinations of words and design for your new business? Is your Google history filled with trademark searches and you still couldn’t find what you are looking for? Well, your search ends here. StoreHippo not only offers end to end e-commerce solution but also makes efforts to make your online journey smoother and faster. To help our clients in their quest for a trademark, our experts have compiled an A to Z guide that puts together everything you need to know, right from what a trademark is and how you can register one in India. Both e-commerce platforms and BIS (Bureau of Indian Standards) deem it important for online vendors on their portal to provide the proof of either trademark application or registration. After all, you don’t want someone else misusing your business name, do you? But, that’s not the only reason why you should do it. Another important reason is, with the help of a registered trademark, you can easily prevent the import of any unauthorized work. One can never rule out the possibility that in the nearby future, the government of India might make it compulsory for businesses to have a registered trademark before operating. All the more reason why you should apply for trademark registration before commencing business. How you can register a trademark in India? Before jumping straight into the process, it's important to know the ins and outs for registering a trademark in India. Now that we know what exactly is a trademark, let’s move on to, how you can register a trademark in India. We understand you are starting a new business and the trademark is what will separate you from the crowd. But before that, let’s understand how trademarking in India works. In India, the trademark registry was established in 1940. The Trade and Merchandise Marks Act, 1958 governed the Statute Laws of Trademarks in India which was later on, replaced by the Trade Marks Act, 1999. There are 45 different classes specified for service products in India. Make sure you know under which one your product/service falls before applying. However, with additional fees, you can use a single trademark for services belonging to multiple classes. Trademark searches, which are registered in India, won’t be valid anywhere else. You will need to register in individual countries, depending upon their legislature. Fortunately, an international registration wing is set up under the Madrid Protocol in the head office of Trade Mark Registry in Mumbai for such purposes. The Trade Mark Registry Offices located in Delhi, Mumbai, Kolkata, Chennai, and Ahmedabad are headed by the Controller General of Trade Marks, Patents and Designs which also functions as the Registrar of Trade Marks. It's also important to understand here that a trademark is different from a copyright or a patent geographical indication. Now that we know what trademarking in India is all about, let’s move on to one more important factor before getting ourselves familiar with how to register a trademark in India. Which trademark applications are more prone to rejection? Not similar to any existing application. Would not hurt any religious sentiments. Should not contain common words such as any geographical names. Must not be confusing at all. Often times, things don’t go as planned. So, if by any chance your application is not approved, don’t be disappointed. On refusal, you are well within your rights to make an appeal to the trademark registry within the first 3 months (sometimes longer if there is sufficient cause for the delay). However, if you are new to this whole trademarking thing, it’s always better to seek out the help of professionals. The process of Trademarking begins with the search for a Trade Mark, or we should say Brand Name. Now, this trademark search is crucial as it helps us provide information about any such similar trademark that has already been registered before. Here, you can either conduct the search yourself or hire the services of a third-party professional to do it on your behalf. How to conduct a search for a trademark? To conduct a search, you need to spend up to Rs. 500/- depending upon where you go, a trademark agent or an attorney who assists you with conducting this search through Trademark Office to check for any similar trademarks under that particular class. Select from the drop-down menu, Trade Marks > Related links > Public Search. Type in the keyword of your choice. The category section have 45 different classes. Enter the one that fits in. Applying either offline or online will take anything about 3 to 4 hours of your time. And with this comes our next process, the application filling. 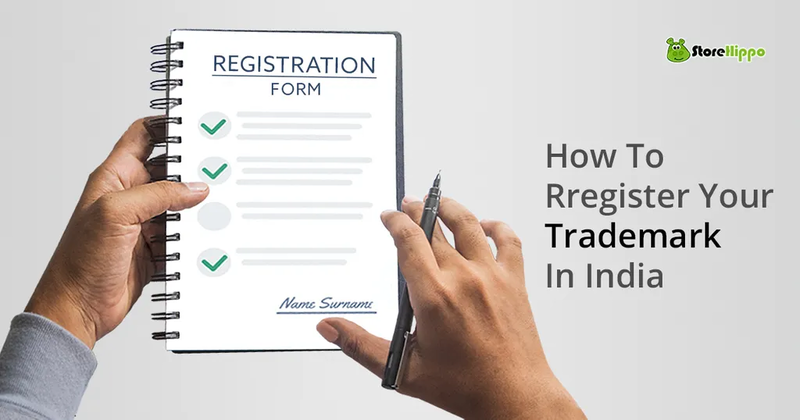 After you have successfully completed your Trade Mark search, the next step involved with “how to register a trademark in India” require you to file an application with the Trade Mark Registrar office. This step requires a processing fee as well for filing the Trade Mark application. Government fees will come roughly around Rs. 4500/- for individual, startup or small enterprise. For all other cases, you might need to spend double the amount mentioned above. Also, do not forget to consider the professional fees of trademark attorney as well which will cost you Rs. 3500/- per application per class. This process will take a minimum of 2-3 days of your time. Your name and address as a Trade Mark owner. And, at last, the date since the trademark is in use. For those who wish to file in the trademark search application form online, follow the steps mentioned below. After you have successfully completed your registration process, a confirmation mail will be sent to the registered email for further references. After filing Trade Mark application with the registrar, the next thing on our list of “how to register a trademark in India” is the allotment of the trademark allotment number. Here, if you have filed an online application, your application allotment number will be allotted immediately, otherwise, it might take one to two working days for allotment. Once you get the trademark allotment number, you can affix the TM symbol next to the logo. Once your Trade Mark application is accepted by the registry, the proposed trademark will be published in the Trade Mark Journal. But your trademark will only be registered after a term period of 12 weeks and that too, if no objections were filed within the first 90 days of that publication. 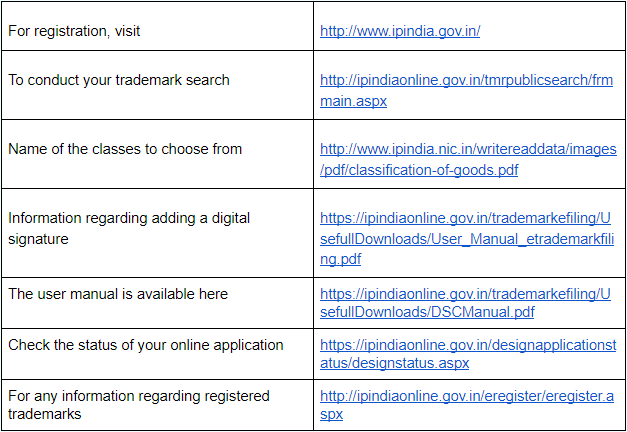 This is the last stage of the “how to register a trademark in India” process and the most time-taking as well. It can take anything from 18 to 24 months. It is recommended to check the status of your online application from time to time after the initial one and a half year time wait by visiting the ‘application status’ section of ipindia.gov.in. Now comes the hardest part; to stay patient while waiting for your application to be approved. We understand what you are going through. But the important thing to remember is, some waits are worth every minute and, this is one of them. For your wait, you will not only get exclusive rights to use your trademark but it will also serve as a powerful remedy against any unauthorized use. During this time if no such oppositions or objections are filed against your Trade Mark application after the Journal publication, you will be issued the Trademark registration certification from the Registrar. You are officially entitled to place the ® symbol next to your trademark or logo. And now, my friends, it’s time to reap the rewards. From henceforward, you can use the trademark logo all across your website besides promoting it with your products and through your marketing campaigns as well. Why? Because people trust brands with a trademark. They believe such products are superior in quality. Not to mention, it allows you to project the true personality of your business, in order to be marketed efficiently, thus helping you build your brand identity as well. From now on, this trademark will be considered your registered trademark and no one else can use it beside you. But wait, in case you are thinking this is the only benefit, you are in for a surprise. Registering a trademark gives you exclusive nationwide ownership of the mark thus deterring others with confusingly similar trademarks to claim ignorance in the future. It not only helps build trust and goodwill but also differentiates your products from others. Moreover, it creates an intangible asset which can be assigned, sold, franchised or commercially contracted. And if you are looking to expand outside India? Well, your registered trademark in India will provide a good base for registration in other countries as well. We hope the above information is enough to cover all your queries related to trademark registration in India. After all, the future of your business might depend on it, the business that you worked so hard to establish, the business we might help grow. StoreHippo is a one-in-all platform that gives you everything you need to run your business, regardless of whether you are just beginning your entrepreneurial journey or are already an established brand. We will keep publishing articles that will help you get tips regarding starting your business. Got a query about any other topic? Just leave a comment and we will try to find the best solution for you.